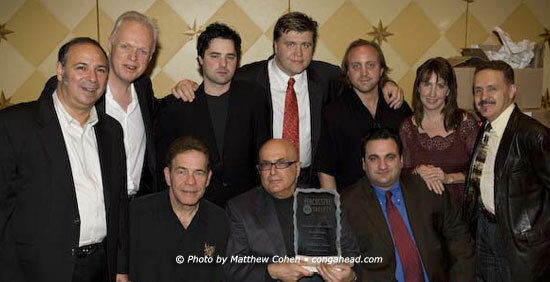 The highlight of my over-four-decade career was receiving the Hall of Fame Award from the Percussive Arts Society in Austin, Texas on November 10, 2006. The original crazy idea of making my living building bongos was hatched in August 1964, and while that journey now seems to have passed virtually in the blink of an eye, there were many moments when I thought I couldn't go on. My passion for the music that my percussion instruments serviced -- and the great players who used them -- made me realize that there simply was no other career for me. These influential musicians, and our top-notch suppliers and staff, have made my dream come true. And, while making the monthly mortgage payment was initially my greatest concern, over time the LP brand has become synonymous with quality percussion. This commitment to excellence has established LP as the leading brand in percussion throughout the world. 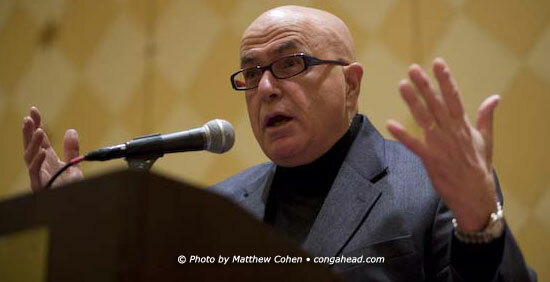 To view Martin Cohen's induction speech from this event, please	click here.